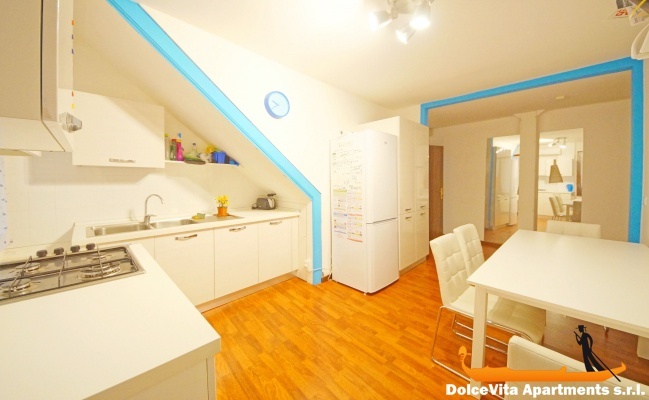 Apartment N. 382: It can accommodate up to 4 people, it is rented from 120 € per Night (not per person). 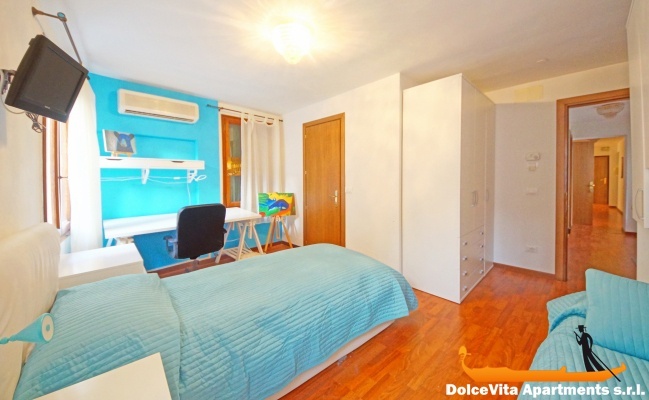 Apartment in Venice Dorsoduro with 2 Bedrooms and 2 Bathrooms: This apartment in Venice of 100 Square Meters is located in the historical center of Venice, in the Dorsoduro district. 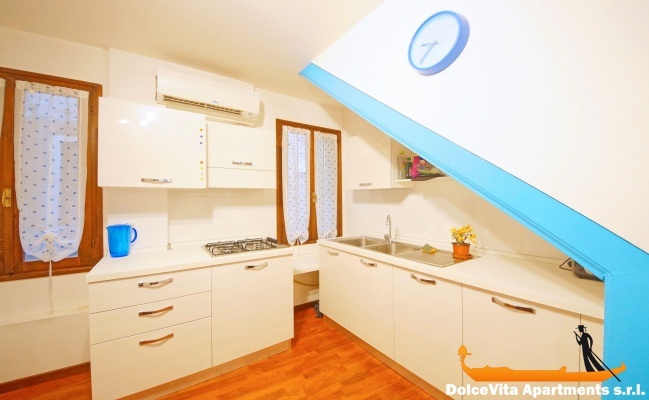 It is located on the First Floor, it can accommodate up to 4 people and it has 2 bedrooms and 2 bathrooms. The apartment has a fully equipped kitchen and towels, sheets are included. If you have special needs we will be happy to help you to make your holiday even more memorable. • Instructions to reach the apartment: After booking, the check-in manager, will send you instructions to reach the apartment or the place where he/she will be wait for you. 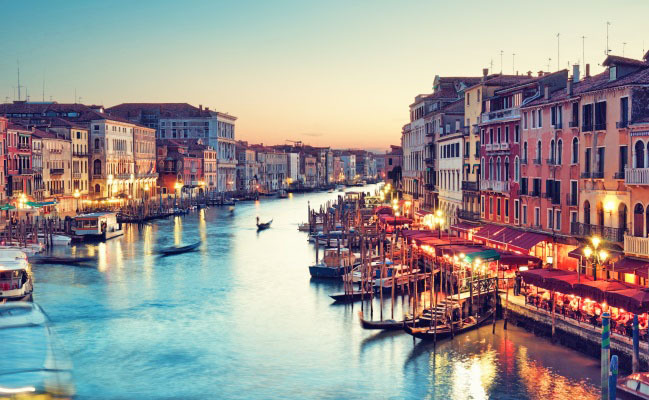 You will receive the instructions of the route from the train station St Lucia, Piazzale Roma or from the airport (Venice or Treviso) to the meeting point. • Arrival and Departure: Key/accommodation handover from 14:00. 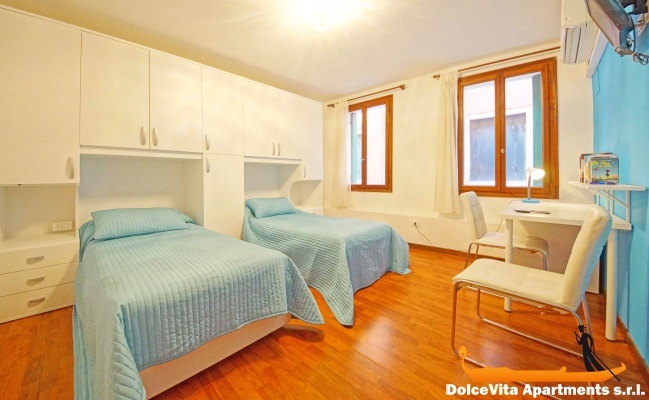 If you arrive in Venice before 2 p.m., it is possible to check-in the apartment earlier. If it is occupied and you have to wait until 2 p.m., it's possible to deposit your luggage at the Venice Santa Lucia train station or at the Venice Luggage Deposit near San Marco. Check out: please leave the apartment before 10:30 a.m. The total price all inclusive includes reception service, cleaning service, water drinkable, electricity, gas, linen and towels. 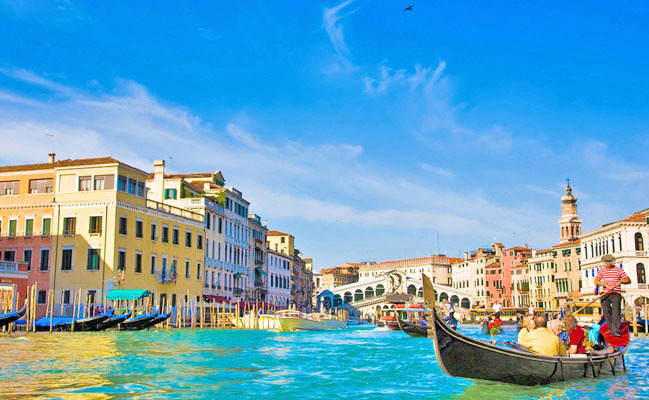 We Will Gift you a Gondola Tour: If the latest numbers of your reservation are 00. A rating of 5 for design, comfort, equipment and cleanliness. Great location for walks in all kinds of Venice. A big thank you for the welcome quite well organized, and Eugenia always available and nice. 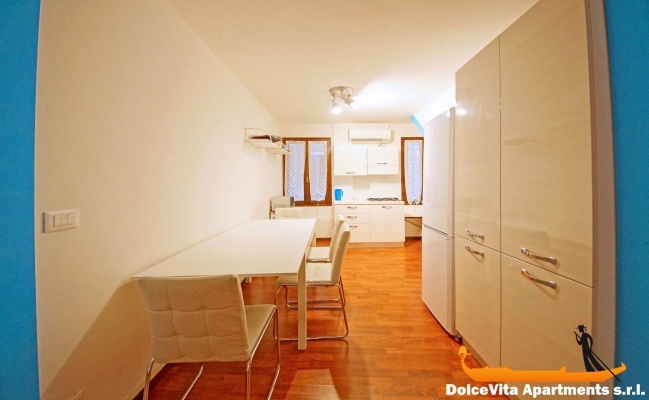 DolceVita Apartments srl, in the world, is the real estate agency with more holidays apartments in Venice. 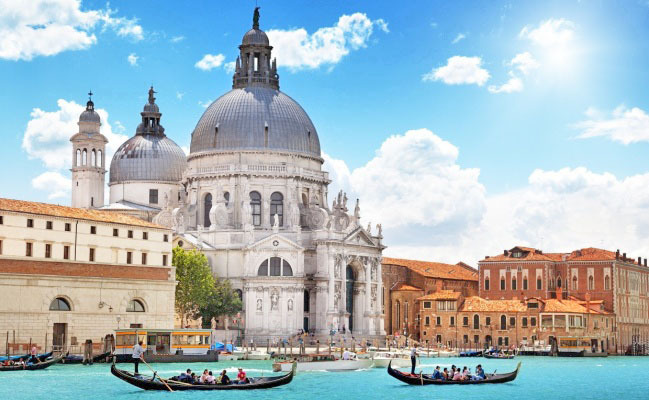 We work with passion to guarantee you a magical holiday in Venice, the city that the whole world envies. 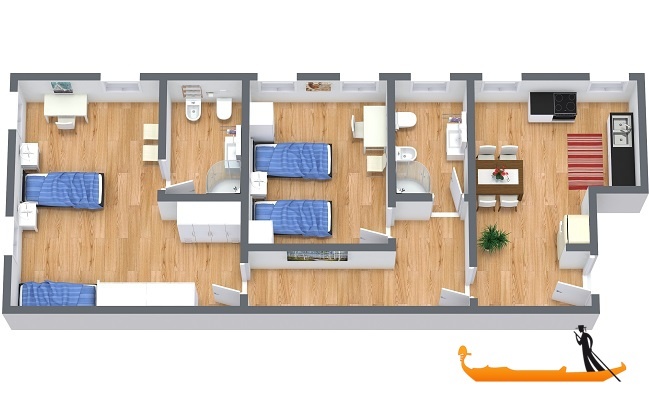 We have personally selected these apartments that you find in our site and check them regularly. We are available to help you to plan your stay and to make it a great memory!